Gov. 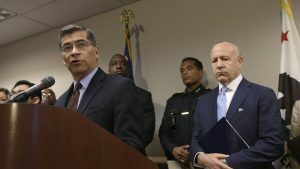 Jerry Brown’s choice of Xavier Becerra to be California’s Attorney General was the first of many steps to protect the pervasive lawlessness of the radical left. Becerra has taken an aggressive and combative stance against President Donald Trump, suing Trump over the Presidents’ efforts to enforce federal immigration laws, and even blocks federal government attempts to deport criminal illegal aliens. Trump’s campaign centered on building a wall along the United States border with Mexico to keep out illegal aliens, violent gangs, and terrorists posing as immigrants. “Members of the Awan family logged on to the Caucus server 7,000 times without authorization between October 2015 and August 2016, according to a House investigation. The logins suggested “the server is being used for nefarious purposes and elevated the risk that individuals could be reading and/or removed information,” it said. 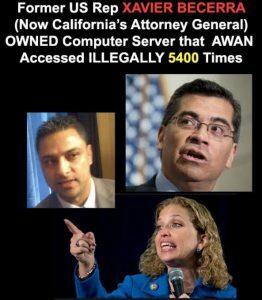 “The Awans were accessing members’ computers without their knowledge, transferring files to remote servers, and stealing computer equipment — including hard drives that Awan & Co. smashed to bits of bytes before making tracks,” former Prosecutor Andrew McCarthy reported in National Review. And none of the Awans could have qualified for a security clearance. The unvetted Awans enjoyed unfettered access throughout the Democrat Caucus – and even had access to the accounts of members of the House Intelligence and Foreign Affairs committees. Many believe Becerra departed Congress to become Jerry Brown’s appointed attorney general in California to put him in a position in which he could not be prosecuted. However, Becerra has an election coming in November, and faces a solid Republican challenger in retired Superior Court Judge Steven Bailey. And now, Sacramento’s shady weak-kneed Mayor, Darrell Steinberg, who has a history of standing by and watching scandals happen, just announced that AG Xavier Becerra will take over the investigation into the March 18 police shooting of career thug Stephon Clark in Sacramento. 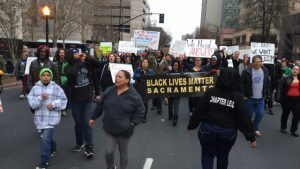 But Houston, we have a problem with this: hundreds of Black Lives Matter protesters have blocked the entrance of nearby Golden 1 Center in downtown Sacramento twice in one week, preventing thousands of ticket-holding Kings fans from attending NBA games. And the Sacramento City Council and Mayor Steinberg allowed it to happen. 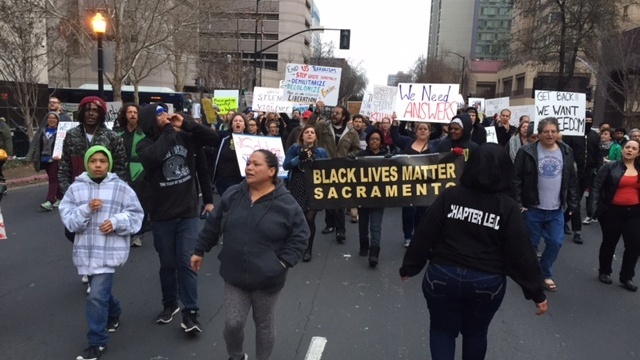 Anti-police mobs, and Black Lives Matter protestors have also halted traffic on Interstate 5, and shut down a Sacramento city council meeting where the Sacramento police did nothing to stop them… likely on orders from the Mayor. But Becerra was silent on the Oliver/Davis murders, and on Kate Steinle, gunned down by repeatedly deported Mexican national José Inez García Zarate, likely because of his Awan brothers problems in Congress. Are you feeling the anarchy? Socialism? Leftism? What legal recourse do voters have against lawyer politicians who knowingly violate the law, either through the passage of unconstitutional bills, or through illegal actions and policy? What will it take for voters to throw out these corruptocrats and crooks? This entry was posted on Wednesday, April 4th, 2018 at 1:03 am and is filed under Blog Posts.